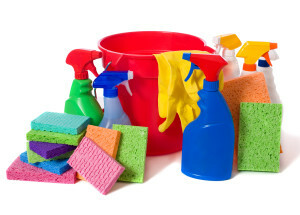 Why should I hire a cleaning service? Peoples mental state can deteriorate over time do to the bad shape of their home, to the point they wont let anyone in to visit them, causing all kinds of problems. such as severe problems with the families and friends. Also with dust and dirt in a home can cause lots of heath issues as well, if your home is so cluttered it can be a fire hazard as well. A clean home can make a person feel that they have accomplished so much and they are proud to have people in there home at any time of day or night. So maintaining your home on an everyday basis is so imperative that most people don’t recognize this until it is to late. different ways to maintain your home is to do vacuuming at least once or twice a week regardless if you think it needs it or not. If you have any kind of pets like a dog or cat then every other day may be required, this may help you or your children if you or they have any kind of allergies to pets. It is best to try to keep up with the vacuuming and dusting more often. It has been known for people to fill their home to the ceiling in a few short years, cause by many different reasons, some it can be loneliness, many with a need to have lots of things around them to give that feeling of always have something to do, but never get around to do it. Making there home not only a fire hazard, but disease prone as well, Also bringing in rodents and other unwanted creatures.